A pendant alarm can save your life in the event of an accident, fall or any other emergency. It can be pressed in any situation when you need help and cannot reach a telephone. The alarm button can be worn as a pendant, a wristband or clipped to clothing. When pressed, it connects wirelessly to a base unit, usually located in the hallway of your home. The base unit immediately sends a call to our 24/7 Carelink™ Monitoring Centre. The button transmits to a range of around 250 metres from the base unit. This means it can often be worn in the shed or garden, for peace of mind when you are in the home or outside. In any situation when you cannot reach the telephone, you simply press the alarm button to summon help, 24 hours a day, seven days a week. Within seconds our trained CareLink™ operators at our monitoring centre in Ireland, will hold a conversation with you through the 'hands-free speech' function of the base unit. They will ascertain the nature of the emergency call, enabling them to react quickly to the situation and provide reassurance that help is on the way. In Ireland, a pendant alarm system is also referred to as a socially monitored alarm. In either case the system consists of the two parts mentioned above, that is (a) the emergency alarm button which is often worn as a pendant or wristband, and (b) the base unit usually located in the hallway of your home. Socially monitored alarms are recognized as a welcome alternative to institutionalization, allowing the elderly, infirm or convalescent to retain their independence and freedom in their own homes, secure in the knowledge that their link to the outside world is always with them. Grants are available for the provision of socially monitored alarms in the Republic of Ireland for individuals over the age of 65 through the Senior's Alert Scheme. Do I need a landline to have a monitored alarm system installed? Our CareLink™ pendant alarm system also comes in a GSM model, which allows those who do not have a telephone in the home to connect to our monitoring centre in Ireland, without the need for a landline. Anyone can purchase a pendant alarm and base unit by giving us a call to arrange a suitable date for installation. 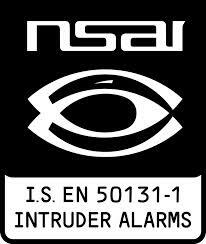 Alternatively the monitored alarm can be purchased directly through our online store. Our full range of telecare products, all of which work with the base unit, can be viewed at our telecare products page. Please contact us with any questions or read our FAQs about telecare and pendant alarm systems.